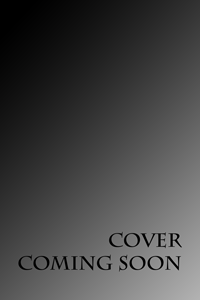 Below is an up-to-date listing of publications -- current and forthcoming -- written by David M. Keyes. 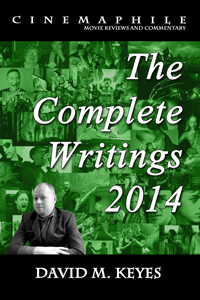 With the exception of the "Complete Writings" anthologies, which include all the written work published on this site, all other projects in development are supplement to his online articles. More details will become available when possible. "Eleven years ago, college was over, and it was just me and the movies. And there I was bouncing between a theater and a word processor, still yet to discover the personal joys of life, writing about them through pragmatic lenses. Though I had been reviewing movies since early 1998 – most of it as part of on-the-job training in a newsroom – these years represented the first act of forging a personal destiny, without assignments and copy editors dictating the direction." 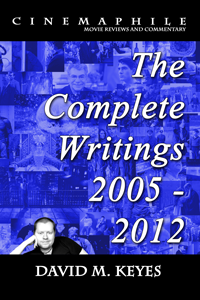 "Between 2005 and 2012, I wrote a complete total of 60 movie and entertainment-related articles. The writing in those seven years, you can say, represents the final throws of the second act of my life – the act of transitions, realizations and, ultimately, life-altering epiphanies. Most of them come attached with distinctive memories, many of which still alarm me with their clarity." 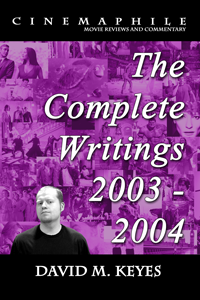 "Between the years of 1998 and 2004 I was under the spell of some sort of internal discipline that kept my output consistent; in the years that followed, other life objectives took over, and my commitment to writing was seen only in brief intervals. 2013 marks a comeback that is the stuff of personal miracles, and as I look back I can barely fathom where this new energy came from, or how it managed to stay so consistent after eight years of false starts and wavering objectives." "The possibility of meaningful education buried in the frames of a great motion picture is one of the most important things to me as a fan of the movies, and there would be no worse prospect than watching the deep insights of Bergman, Spielberg, Kubrick, Hitchcock or Fellini lost in a world that now favors directors who stand at the center of a haze of senseless explosions." 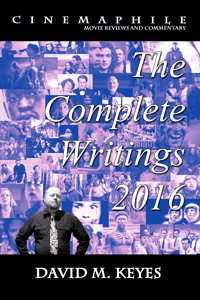 Coming this winter, the latest endeavor in Cinemaphile's annual "Complete Writings" publications, collecting all 97 articles, essays and reviews published over the 2015 calendar year. In addition to selections of a wide array of current releases -- including "Star Wars: The Force Awakens," "Jurassic World" and "Mad Max: Fury Road" -- film writer David Keyes also revisits new classics like "There Will Be Blood" and "No Country of Old Men," along with lost gems (or turkeys) from the distant past. 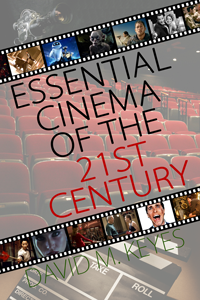 Once upon a time, David M. Keyes wrote around 400 film-related articles and essays in his earliest years as an aspiring online journalist and self-proclaimed "cinemaphile." 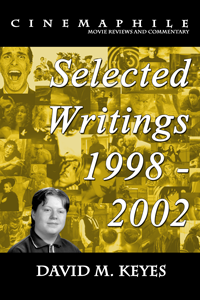 200 of them, now together for this rare anthology of "Selected Writings" from the years 1998 through 2002, are the definitive highlights of an aspiring youth who had much to say about the movies, and was still evolving his skill. Many film writers deal implicitly with the treasured benchmarks of the past, but how many of them focus as much on the here and now of quality cinema? 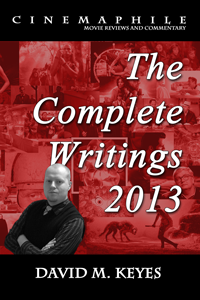 This book celebrates 100 of the defining selections of the new century, bringing together various essays -- new and old, revised and expanded -- from David M. Keyes, who has carefully researched and considered each entry from various perspectives ranging from education to general entertainment. 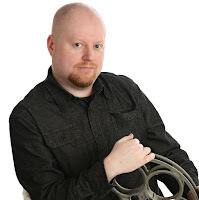 David Keyes began his writing career as a critic primarily charged with reviewing horror films, and nearly twenty years later he returns to the genre that helped give him wings. 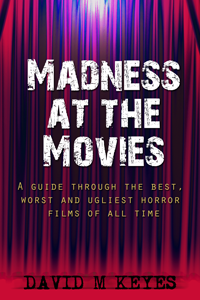 "Madness at the Movies" is a study of what horror once was, what it became and what it is destined to be through the eyes of a fan who continues to find much possibility in the world of screaming teenagers, demons, ghosts, homicidal maniacs and bloodthirsty monsters. 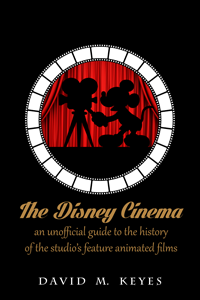 The art of animation as we know it today stretches back nearly 80 years, and in this book David Keyes -- himself an avid fan of the art form -- explores the entire animated catalog under Walt Disney, the man who singlehandedly invented the genre. From "Snow White and the Seven Dwarfs" to the ongoing endeavors of Pixar, each movie has a place in the historical lexicon. This book deep dives into those achievements -- minor or monumental -- in appreciation of the legacy. 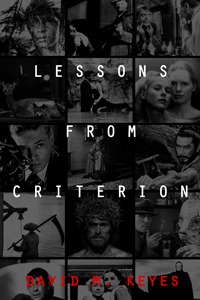 The Criterion Collection prides itself on preserving the legacy of the most important films in history, but what lurks beneath the frames of those resting within that label? Here is an exploration of a handful of the definitive landmarks of the motion picture, exploring them both historically and critically, from David Keyes. 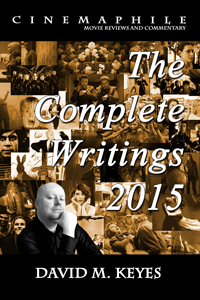 Collects all the essays written in his "Lessons from Criterion" series on the Cinemaphile blog.